On March 12, 2013, James Clapper, Director of National Intelligence, was asked by Sen. Ron Wyden of the Senate Intelligence Committee, “Does the National Security Agency (NSA) collect any type of data at all on millions or hundreds of millions of Americans?” “No, sir,” Clapper replied. On June 5, 2013, articles based on documents provided by Edward Snowden showed the NSA was doing just that. Shortly thereafter, Clapper wrote Intelligence Committee Chairwoman Diane Feinstein and said, “My response was clearly erroneous – for which I apologize.” He later told MSNBC’s Andrea Mitchell, “I responded in what I thought was the most truthful, or least untruthful manner, by saying ‘no. '” Clapper argued his testimony was not a lie because it all hinged on what the word “collect” means. He also claimed he was caught in a situation where he was asked in a public forum about a classified data collection system. Some accused Clapper of perjury and demanded he resign. To test your “Pinocchio” sensitivity, which of the actions below is a lie? In my work with government executives, everyone agrees that the first one is a lie. There’s not much agreement after that. 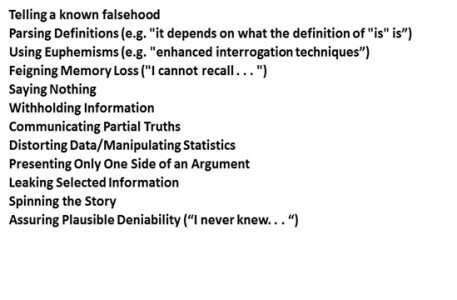 People admit, often sheepishly, to using many of these techniques, but they insist they didn’t lie. How would you feel if a government employee used one of these in answering your question? 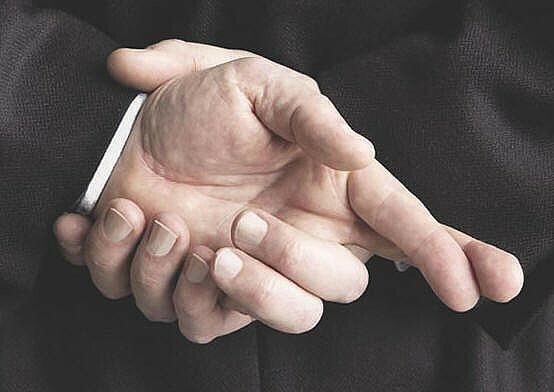 If it would bother you, you can see that “lying” is not as simple as applying a legal test of “the truth, the whole truth and nothing but the truth.” More importantly, if we aren’t clear on what a “lie” is, we should expect a lot of ethical slipperiness. Let’s consider five common reasons. First, people may lie because they think they must, to protect the nation and its secrets. But this can be easily overused. Second, as we’ve seen, public servants lie but don’t think they are doing so. Third, people lie because of job, peer or supervisory pressures, as the Army case illustrates. 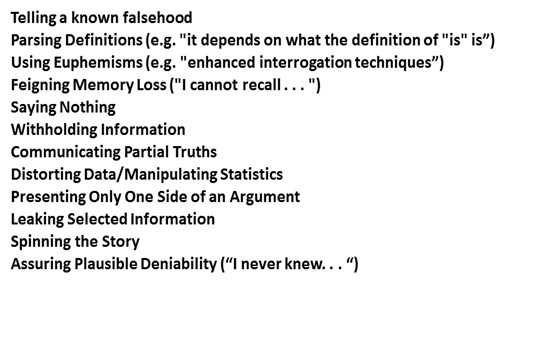 Fourth, people lie because they can rationalize it and there are lots of rationalizations (see below). Fifth, people lie because of moral licensing. Think of it this way. You are a moral person; you act ethically in almost every case. When confronted with a situation in which lying is really tempting, you give yourself permission just this one time. It’s like you have made so many deposits in the bank of truthfulness that one withdrawal is no big deal. Social psychologist Dan Ariely posits a similar logic in his book, The (Honest) Truth About Dishonesty. His research found that people will only lie up to the point that they cannot reconcile it with their self-concept, even if they had no chance of being caught. How can we be more truthful? Knowing the techniques used to evade truth-telling and the rationalizations can help us be more honest. But that’s not always enough. 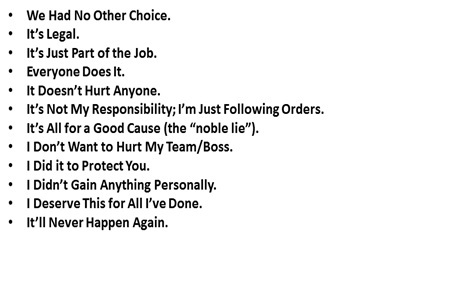 Use reminders: When reminded of their obligation to tell the truth, people may be less likely to lie. Retaking the oath of office or signing forms that testify to our veracity in a given document (e.g., a financial disclosure form), report or action can be useful. Reward truthfulness: Leaders can emphasize the importance of honesty by setting an example, such as creating honesty as a core value, rewarding truthfulness and punishing lies. Decrease the distance between the actor and the act: It’s easier to lie if those lied to are separated, geographically or organizationally. Prevent lying from becoming socially acceptable: In March 2013, Beverly Hall, the former superintendant of Atlanta’s schools, and 34 others were indicted on multiple charges connected to changing students’ answers on standardized tests to produce higher scores. One person could not have succeeded in doing this alone, but when a like-minded group formed, it became more socially acceptable. Counter rationalizations: Ask unbiased others to check your reasoning and justification before you act.